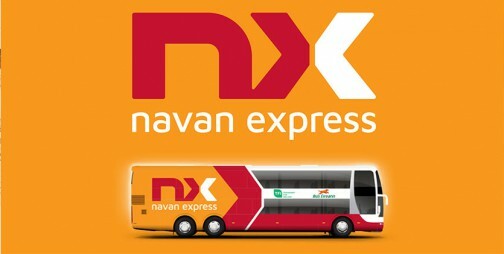 Bus Éireann and the National Transport Authority are delighted to introduce the people of Navan to the NX - your fast, frequent and reliable express service to Dublin City Centre. Operating 7 days a week the NX and Route 109A delivers a 24 hour service, so getting to Dublin has never been easier. So whether you're headed to the capital for work, culture or retail therapy, you can rely on the NX to get you there and back. 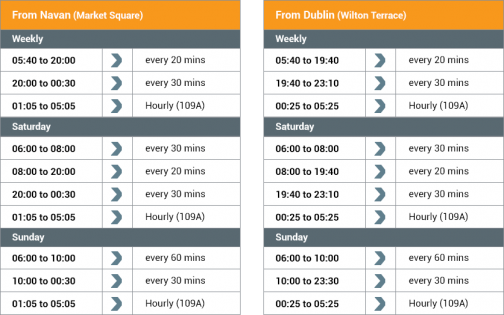 **Average journey time Navan to Dublin City Centre.